As our inner work unfolds, we often discover many setbacks and may even experience traumatic events that fundamentally change us. Even in the healthiest families there can be significant emotional wounds leftover from our youth. But these don’t have to be unfortunate occurrences. And maybe they weren’t even accidental. Perhaps “fate/destiny” had something else in mind for us, in order to catalyze a particular type of personal development that requires trauma for its genesis. What hurts us can cripple us, but it can also shape us into something more powerful. But this requires presence. It requires having a different perspective about what it means to hurt and what it means to experience emotional trauma. One way to change our perspective is to look at our wounds as sacred things. Our sacred wounds can be a great source of personal development. Like John Keats wrote, “Do you not see how necessary a world of pains and troubles is to school an intelligence and make it a soul?” Indeed, allowing our wounds to become sacred is allowing Ego to become Soul. If we really allow ourselves to live greatly, we must open ourselves up to being present to our sacred wounds. The ability to have an authentic engagement with life takes the courage to face prior heartache and pain, and the ability to cultivate it and refine it. Either way, the pain and heartache will be there. The question is whether or not we have the courage to transform it into something that can refine our soul. Pema Chödrön said it best: “We think that the point is to pass the test or overcome the problem, but the truth is that things don’t really get solved. They come together and they fall apart. Then they come together again and fall apart again. It’s just like that. The healing comes from letting there be room for all of this to happen: room for grief, for relief, for misery, for joy.” Letting there be room is allowing for a space, a sacred space, where we can be fully present with our pain. There’s a lesser known Hindu deity named Akhilandeshvari, or The Goddess of Never Not Broken. This Goddess embodies the ability to come together and fall apart, over and over again. She is the personification of healthy annihilation, the archetype of vicissitude. She breaks apart in order to come back together as a more powerful entity. Indeed, it is exactly because she is able to break apart that she is so powerful. What a shift in perspective! True strength isn’t wholeness but the ability to adapt to the change that comes from falling apart and coming back together again, from wholeness to brokenness and back. This is the epitome of transforming pain into strength. Falling apart is what happens when we experience trauma. Coming back together again is the scar left behind. It may take an entire lifetime to complete the healing of our sacred wounds, but the point is to begin the healing – and there are diamonds in the rough. Those who become wise always experience the most pain. Falling apart and adapting to coming back together again in novel ways is the epitome of wisdom. Facing the pain is like looking into the abyss. It’s like having a staring contest with our inner-most demons. But with enough practice, with enough polish, we can transform those demons into diamonds. We can transform that abyss into a mirror that reflects infinite growth. 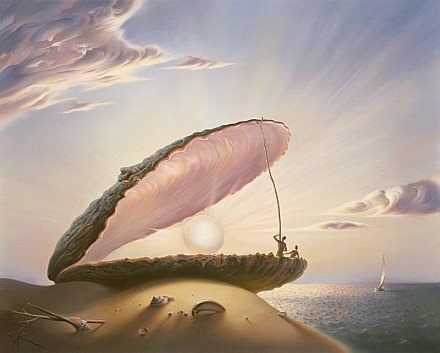 “Think of the birth of the pearl,” writes Bill Plotkin, “the tiny grit of sand within the oyster creates an irritation the oyster seeks to eliminate by coating the grain with successive layers of lustrous deposits, ultimately producing the jewel.” Just as the grain within the oyster can be transformed into a pearl, the pain within the human can be transformed into strength. There is a saying in Tibet, “Tragedy should be utilized as a source of strength.” At the end of the day, life is pain. We must learn to experience pain well. Indeed, there is an art to cultivating sacred wounds that only the happiest people know. Like the Buddha said, “Pain is inevitable; suffering is optional.” When we resist pain we create more pain, which is called suffering. When we can embrace pain with a warm, peaceful curiosity, we gain the ability to transform wounds into sacred wounds, and we limit our suffering. Like Leslie Fieger ingeniously opined, “Any fool can run toward the light. It takes a master with courage to turn and face the darkness and shine his own light there.” Let us have the courage to turn and face our pain, to shine our own light there and see how many demons we can mold into diamonds, how many wounds we can transform into wisdom, and how much pain we can wrestle into strength, in order to become multifaceted beings with the power to heal the deeper wounds of the world. 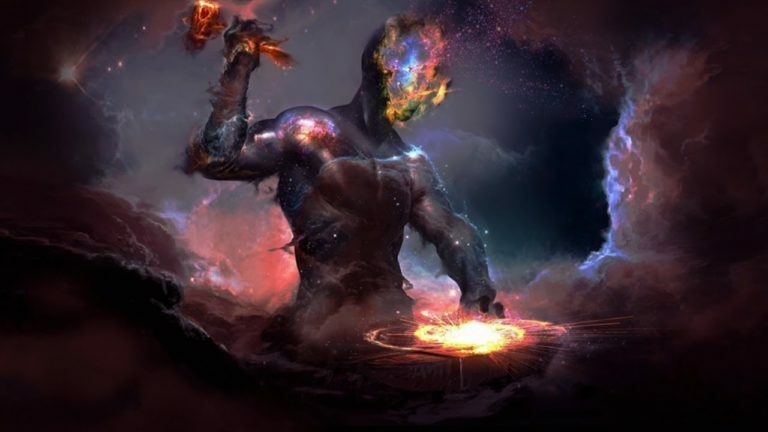 This entry was posted in Uncategorized and tagged abyss mirrors infinite growth, authenitc engagement with life, change our perspective, Gary "Z" McGee, love, presence, sacred wound, trauma catalyst for power, wounds allow ego to become soul. Bookmark the permalink.